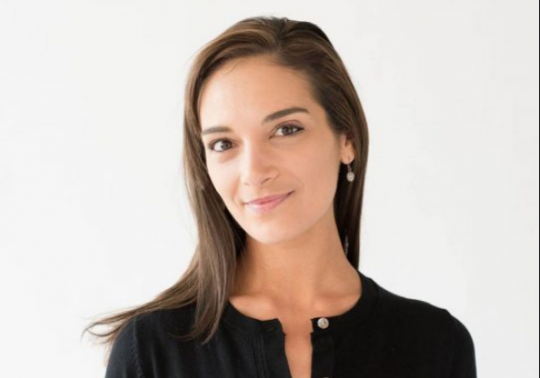 Julia Salazar, a Democratic candidate for New York state Senate, was arrested in 2011 on suspicion she tried to fraudulently access the bank account of Kai Hernandez, who was then married to Major League Baseball star Keith Hernandez. Salazar was not charged. Tablet magazine obtained police reports, court records, and audio files that document the allegations. The crucial pieces of evidence included phone call recordings of what appeared to be someone pretending to be Kai Hernandez in order to access her account, according to Tablet. Hernandez filed a police report after she heard the recordings and said she recognized Salazar’s voice. A Tequesta, Florida police department detective proceeded to interview Salazar, identify her as the speaker, and arrest her. In a recording of a phone call from Dec. 10, 2010, a woman attempts to access Hernandez’s account. The caller knows Hernandez's date of birth, final four digits of her social security number, her account number, and online services username. The caller was able to receive a temporary password to an email she added to the account. Soon after, the caller complained she could not access the account due to its security questions. A service representative transferred the caller to one of Hernandez’s financial advisers for identification purposes, but the caller hung up. The same person called again 10 minutes later but once more hung up after being transferred to the financial adviser. Mark Zeller, Hernandez’s financial adviser, played the calls for her, and said she recognized the impersonator’s voice as belonging to Salazar. Hernandez was a close friend of Salazar’s mother and had known Julia since she was a child. A few months later, while on break from Columbia University, Salazar was interviewed by a detective and arrested after he came to believe her voice matched that in the calls. Charles Weinblatt, the detective who interviewed Salazar, suggested she was not ultimately charged because a voice ID was not sufficient evidence for the state attorney’s office. Furthermore, the caller had not been able to actually access the account. In 2013, Salazar sued Hernandez for defamation, claiming she impersonated Salazar’s voice out of malice. Salazar revised her complaint after it was initially dismissed and accused Hernandez of telling police that she and her husband, Keith Hernandez, were having an affair. Weinblatt could not recall for certain if such a claim was ever made. The lawsuit was settled in March 2017, two months before it was set for a jury trial. Kai Hernandez was battling cancer, suffering from other medical issues, and could not afford to move forward. Hernandez’s lawyer, Lynne Ventry, thinks Salazar was motivated by concerns over her reputation. "I think she was upset because when you Googled her name, her mugshot came up, and she was all freaked out … She was just bent out of shape because it was showing up and it was affecting her reputation." Salazar filed to run for state Senate one year after the case was settled. Last week, Salazar was also painted in an unflattering light after he mother and brother publicly disputed claims she made about her past. Despite presenting herself as a Jewish immigrant, her brother said she was born in the United States and ran multiple Christian organizations while in college. "There was nobody in our immediate family who was Jewish… my father was not Jewish, we were not raised Jewish." Her brother also said they grew up in comfortable financial circumstances, despite Salazar’s claim that "my mom ended up raising my brother and me as a single mom, without a college degree and from a working-class background." "We were very much middle class. We had a house in Jupiter along the river, it was in a beautiful neighborhood," her brother said.